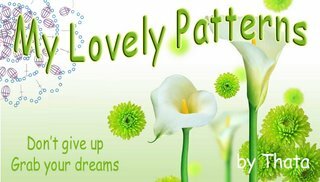 I want to share some of the patterns I had to anyone who loves crocheting and knitting. Be creative and Success !! 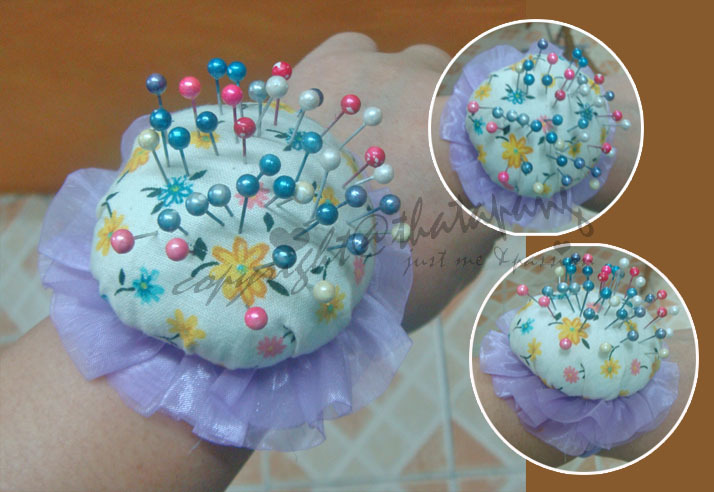 Awalnya saya tidak merasa perlu pincushion berbentuk gelang ini, tetapi kemudian ketika saya ingin mem"blocking" project rajutan maka saya merasa membutuhkannya. Dengan memakainya sangat memudahkan saya menancapkan jarum2 di tempat yang diperlukan tanpa perlu jauh2 mencari si jarum. Cara membuatnya mudah sekali dan tidak diperlukan waktu yang lama, cukup 20 menit saja selesai sudah. Saya sharing cara pembuatannya dibawah ini. 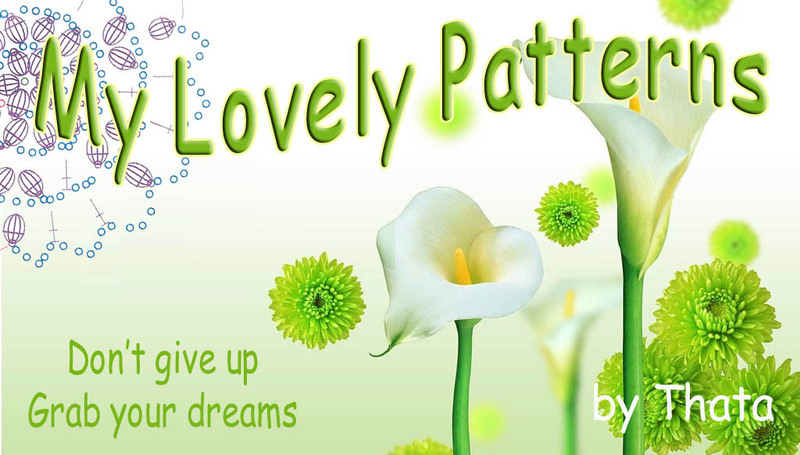 I dont know whose the first person made this pattern. Too many patterns look like similar . I took one of the link that I thought it's clear enough ( with basic tutorial inside ). 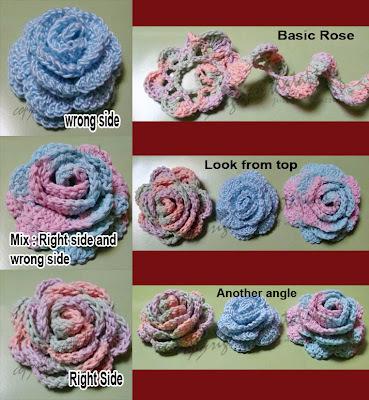 Click here for basic rose. After you made it you can play with it. Cause you'll different style of roses if you work with "right side", wrong side or you mix with right side first than wrong side. Which one do you like?? It depends on your project . Here is the pic that I did it. You see.. how beautiful they're. Play with right side and wrong side is amazing for this pattern. Recycle project again. 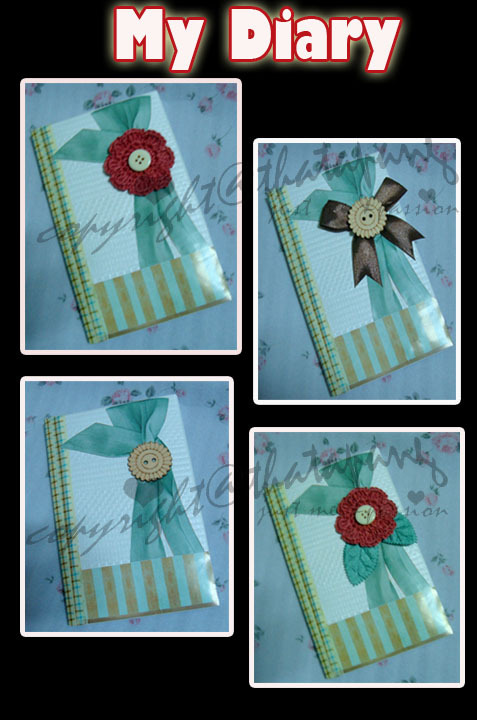 You can make over a simple notebook and you'll have a beautiful diary. It's only a simple step too. All of us who love working with craft have left over buttons. We have many different type and colours of them. You can use it to make over a plain frame. Easy to make. Every crocheter or knitter have leftover yarn. And many of us keep them. Yarn is like a treasure for us. I try to make something cute and easy with our left over yarn. 4 scoops of icecream or a cutie key chain. Try it and you'll love it. Recycle project again. 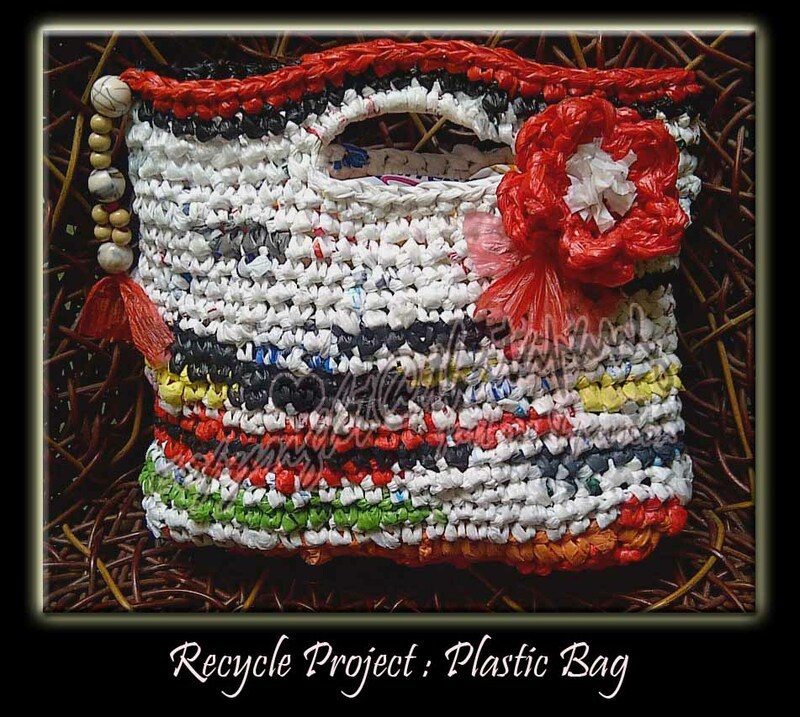 You can recycle your plastic bag. 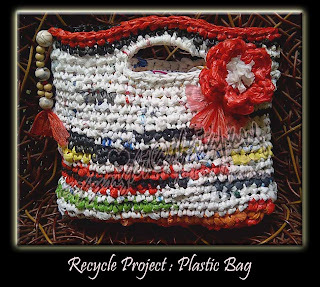 I know many of you have been known that we can make a plastic yarn with used plastic bag. Easy to make. Try it and you'll love it. 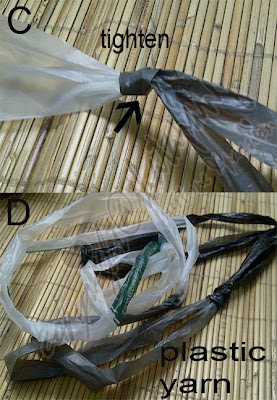 Note : You can subtitute any of your bag pattern with plastic yarn. This handy bag is about 25 cm width. It needs about 60 plastic bags. A. 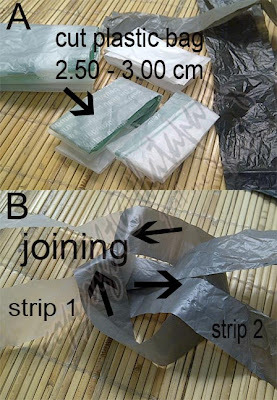 Cut plastic bag with 2,50 - 3,00 cm width. You only need a simple magic to to this. Just say " Gampang" ( Easy) and you'll see how creative you're. Please do not use this photos or pattern for commercial use or posted in your web. Please share our link for it. Thank you so much. You can work with your imagination. Cover top and bottom with yarn. Work around with dc stich until 8,5 cm. Then you work bldc around to make a body. Work around till 1,5 cm height for top and 2 cm for bottom. I used plastic stiker to cover the inside bottom. Cut circle and place it. Looks great. Isn't it. 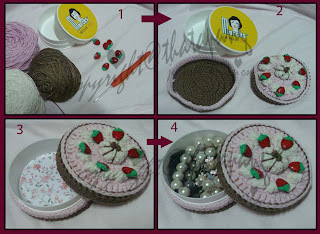 You can add buttons or anything you have in your stash to make this cakes looks yummy. I have strawberry buttons so I make a strawberry short cakes. How about you?? Chocolate, Vanilla or rainbow cakes ?? Wait for you version of yummy cakes ;D.
Do you love play with ribbons. I love to play with them. Sometimes I sew the ribbon and pull the thread to make a new style of ribbon ( ruffled them ). You can buy ruffled ribbons at store but it's cheaper if you make it by yourself. The problem is how to put them after you sew them, cause the original roll cant used anymore. 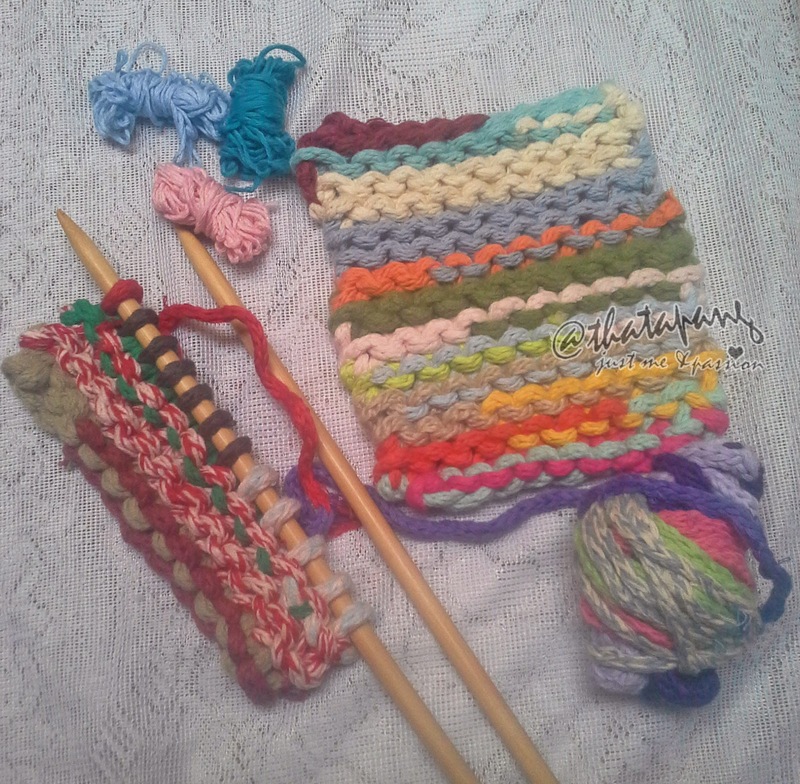 Finally, I decided used recycle cones ( I made from my yarn cone ). 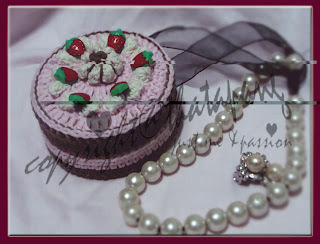 I hope it could inspire you how to handle a new style ribbon. You can use can or plastic bottle too. But you must put something heavier in it. To make it steady. Da..da..da... your crafting room will look better and tidy with this colourful ribbon. Hello, I'm a working woman,45 years old, married and have one son. I live in Indonesia. I like crocheting since 14 years old until now (but up and down). 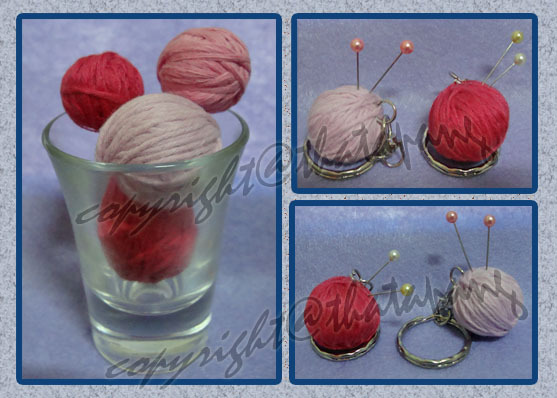 Also love knitting, felting and another needle works..